While the hundreds of protests world wide on the Fukushima anniversary were gratifying. 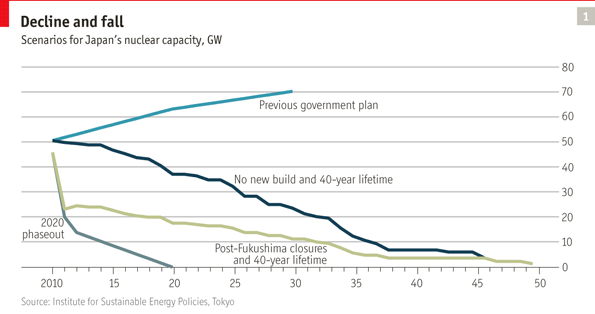 The thing which really floated my boat was the Economist magazine saying that for safety and cost reasons, the Nuclear Renaissance was dead. They were careful to point out some countries will continue to build, especially those who are interested in diverting technology for weapons use. But the decisions makers who read this magazine will see this writing on the wall, “fortunes not to be made here” and they will trundle off to the next mega-project. But the bottom line is that cheap gas (especially from fracking) and a poor safety record are the demise of nuclear in the near term, and the near term may flush the nuclear engineers needed for their to be a long term. 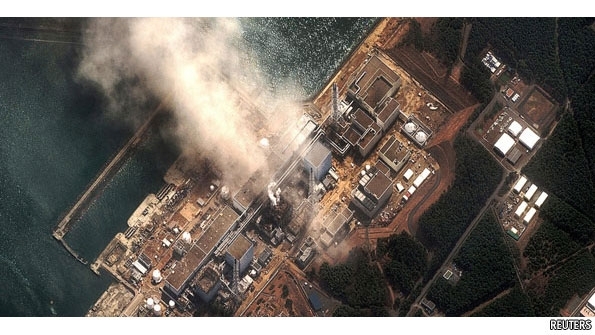 One of the other great things which came out of this first anniversary is the Greenpeace Fukushima lessons learned report. And in even the summary of this report are two facts which the pro-nuclear kids often want you to miss. The China Deception is the pro-nuclear stance that the west should be more like China and invest in an ambitious nuclear program. Nuclear proponents often point out that there are 25 reactors under construction in China (and only 2 in the US) as proof that we need to “catch up” . In fact, if China completes all the proposed reactors it will represent about less than half of their proposed wind expansion. For China to do doing nuclear at all, means they will do it in a big way and in a much smaller way than real renewables. Mature, robust and affordable renewable energy technologies are available and up to the task of replacing hazardous nuclear reactors. During the last five years, 22 times more new power generating capacity based on wind and solar was built (230,000MW) compared to nuclear (10,600MW). Renewable power plants built in just the one single year of 2011 are capable of generating as much electricity as 16 large nuclear reactors. So when people tell you renewables are not ready to replace the big boy of nuclear power, you can politely reply that they already have.